How Do You Define Safe and Secure? 100 for the Beachhead - Become a Sustainer Today! 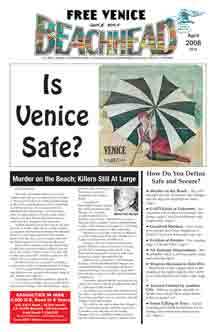 New Beachhead Poll - Do You Feel Safe in Venice? "Venice" mural on Sunset Ave.